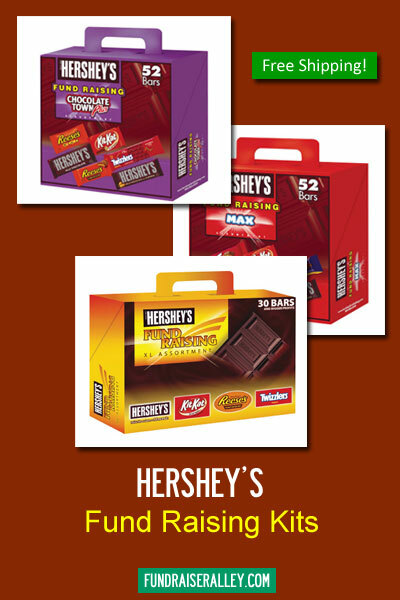 FA	Candy, Candy Bar Kits, Hershey's, NEW Products! Your group will earn 30% to 45% profit depending on how many cases that you order. The price of each case is lower with the more cases you order. The minimum order is only 1 case and, shipping is FREE! 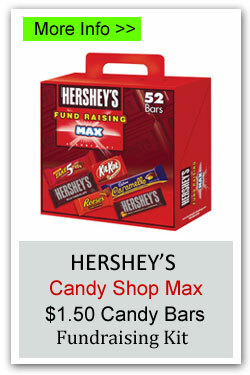 Candy Bars are a great fundraising idea for sports teams, school clubs, churches, or any group. 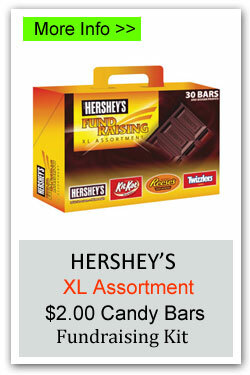 Call 1-866-826-0944 to order 1 carrier kit per fundraising participant. Participants sell candy bars at school and events, and to friends and family. The Hershey’s Chocolate Town Candy Bar Fundraiser will earn from 30% to 45% profit. Price per case decreases with the number of cases ordered, meaning your net profit will increase if you order more cases. Order at least one carrier kit per participant. There are 4 carriers in each case. If you’re close to the next level, we recommend that you order high to take advantage of the lower cost per case. The selling price is so low, you won’t have any trouble making sales. Remember: There are 4 carrier kits in each case. It’s Easy! You can phone us (1-866-826-0944) to place your order. You have several options of payment. If you are ordering online, you can pay by major credit card, Pay Pal, or School Purchase Order. If by mail, you can also use a check, money order, or certified check. Shipping is FREE! You will receive your delivery in about 1 week.